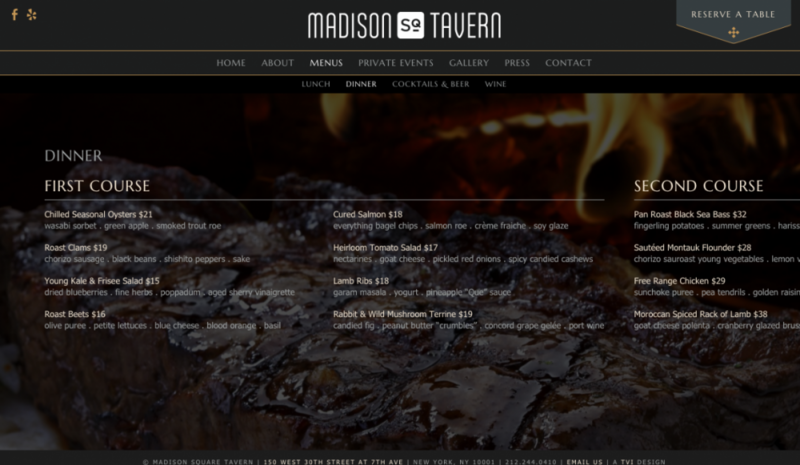 Madison Square Tavern is a new restaurant and bar located in Midtown. They approached TVI with the goal of building a new website to accompany the restaurant opening. We accomplished this by designing and developing a new website which is fully responsive for desktop, tablets, and mobile devices. It also features a user-friendly and simple content management system structured.